Shakespeare meets Mods and Rockers, and even a little bit of unseasonal pantomime, in this wonderfully funny and inventive take on the Bard's classic tragic love story. 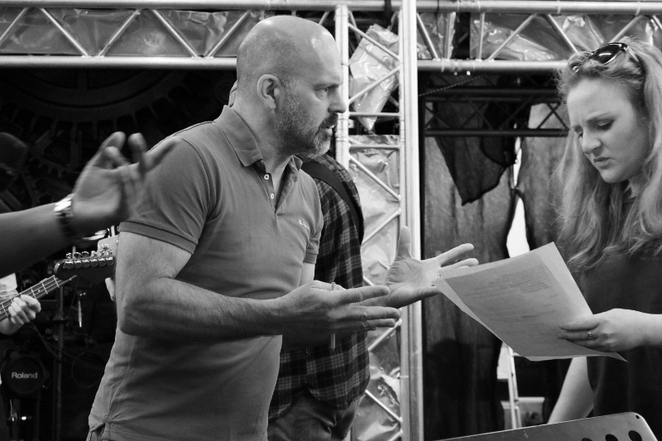 The Oddsocks Theatre Company has embarked on a national tour of its new production, which sees the Capulet and Montague families locked in a bitter feud in Shakespeare's timeless Romeo and Juliet. 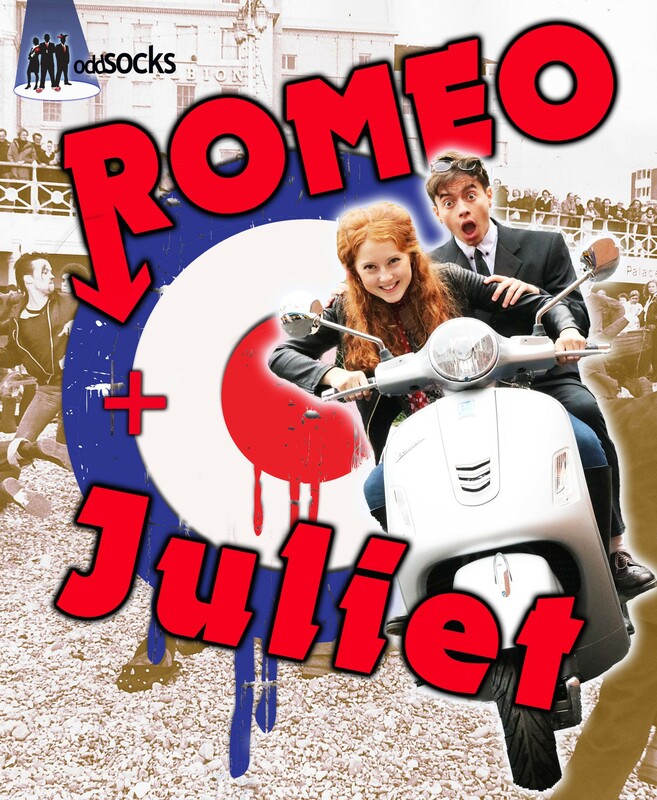 The play is happily still delivered in the original Shakespearean dialogue, but Oddsocks - as is their innovative style - have chosen a completely different slant, this time setting Romeo and Juliet against the period of the 1960s when the Mods and Rockers clashed in towns and cities across Britain. Oddsocks pride themselves on their bold approach to theatre, and Romeo and Juliet, which began its UK tour with two nights at the Lichfield Garrick on May 17 and 18, is certainly no exception. Despite the central romantic theme the violence of Romeo and Juliet is well and truly encapsulated in this new production, with the body count gradually building up throughout the play. Fortunately the large number of seemingly primary, as well as, secondary school pupils in the audience appeared to make light of the violent scenes, which included a 'kicking' in the opening minutes, with the possible exception of a fatal stabbing which stopped everyone in their tracks. Despite the unavoidable violence - it's what Shakespeare wrote after all - this is a very humorous production with plenty of laughs throughout. 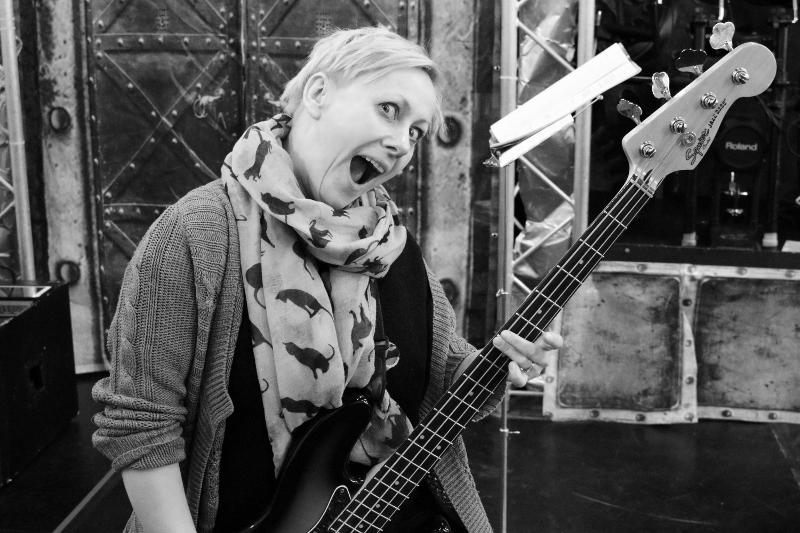 The panto feel was established from the very start with the audience encouraged to shout and cheer whenever the names of the Montague mods or the rocking Capulets were mentioned. Unfortunately one or two enthusiastic members of the audience took the request too literally, with them shouting out at more serious moments in the play. The final, tragic death bed scene between Romeo and Juliet (I don't think I've given anything away!) was also not as Shakespeare wrote when he originally put quill to parchment. The six-strong cast are to be commended for their effort and ability in making everything work, even down to playing a variety of musical instruments as well as performing more than character apart from the excellent Matthew Burns and Pippa Lewis as Romeo and Juliet. 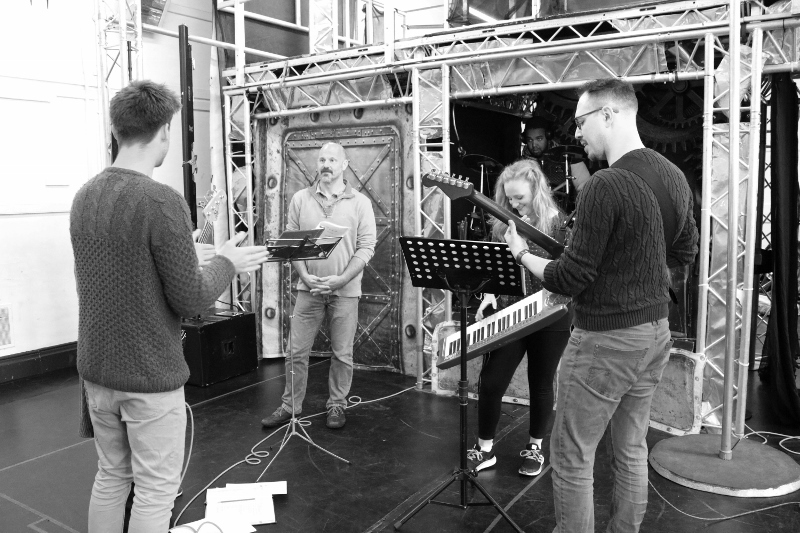 The rest of the impressive cast is made up of Andy Barrow as Capulet and Tybalt, Alexander Bean as Montague and Mercutio, Rebecca Little, mainly as Nurse, and Gavin Harrison as the guitar playing Paris. Because of the mods and rockers theme there is no shortage of excellent music, from The Jam's 'Down at the Tube Station at Midnight' and Gene Vincent's Be bop a lula' to excellent full band renditions of 'Black Betty' and 'Sweet Child of Mine'. 4 July Middleton Park Leeds Free performance No tickets required! 24 July Canary Wharf London Free performance No tickets required! Sounds like a interesting version of a great play!